November is a good time to start getting cosy and not worrying too much about the veg patch, but there are still one or two things that you can get on with over the weekends. Here’s our little guide to the veg patch in November with everything you need to know. 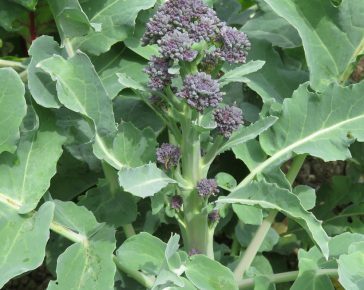 Most autumn cropping veggies will have reached their peak now, and can be left in the ground until you want to use them in the kitchen – these include parsnips, celeriac, cabbages & kale, purple sprouting broccoli and leeks. Be sure to keep them protected from pests – slugs, caterpillars and pigeons are still on the prowl! Anything that you planted in September/October will still be fairly young and vulnerable (apart from quick growing salads) so will need some protection from frost in particularly cold areas, and remember that slugs will remain active in temperatures over 5c. 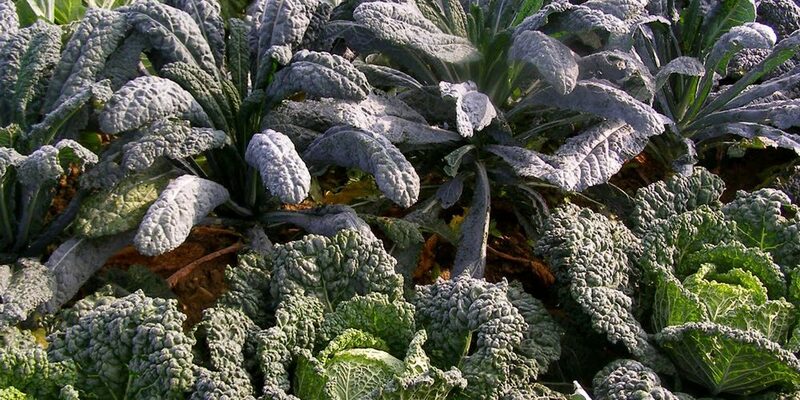 A sheet of fleece is usually sufficient to fend off frost and protect kale, pak choi and spring cabbages from pigeons. November is a surprisingly good month in the veg patch with plenty of brassicas and roots to harvest. Leave parsnips until the first few frosts before pulling them up. Cabbages and cauliflowers will be harvestable this month, as will broccoli (keep cutting off the spears and more and more will appear). 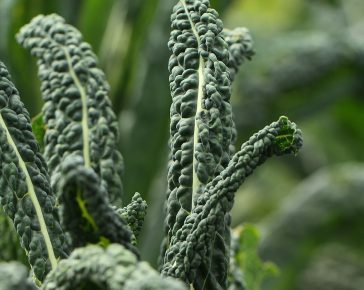 Harvest the medium sized leaves of cavolo nero (this is the best way to keep them growing a nice long time) and other kales. If you’re growing winter lettuces and salad leaves you should be able to harvest a few leaves here and there this month. You can pick leaves from pak choi and tats too for some delicious stir fries. 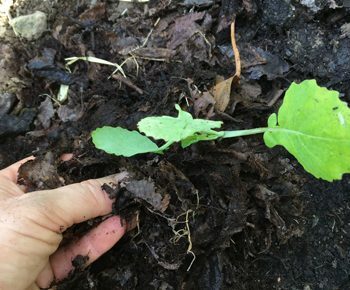 November is a great time to collect up leaves for making a leaf mulch compost to use next year. It’s also a good time of year for doing useful things like building and starting a compost heap, making new raised beds and so on. If you have empty beds, then make sure they’re weed free, covered and that all debris has been cleared up. Lay down a thick layer of compost or well rotted manure before covering them to improve soil quality for next season. 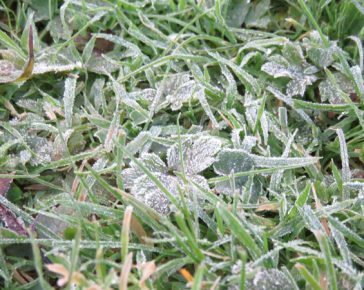 As the month goes on, beware of frosts! We’ve already had a few and it’s really important to protect crops – a mulch is a good idea for root veg and leafy crops can be covered with a layer of horticultural fleece to protect them. If you’ve got tender herbs in pots, like lemongrass and lemon balm, then it can help to pop them under cover or in a greenhouse.